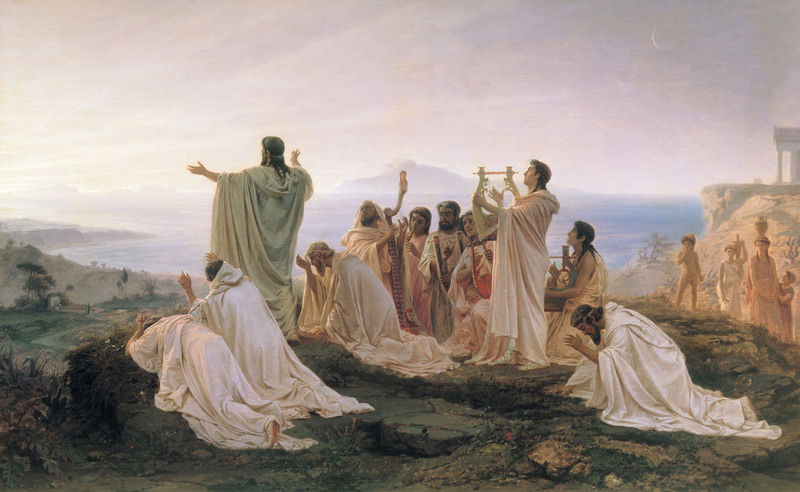 Fyodor Bronnikov - Pythagoreans' Hymn to The Rising Sun. 1869. Oil on canvas. © Copyright 2015, 2016, 2017, 2018 EFnet IRC spiritual channels. The channels' official pages' text is under a Creative Commons Attribution-NoDerivatives Public License, and the HTML/CSS code is under the GNU General Public License. This site is best viewed in Free/Libre/Opensource Software web browsers.